So the question is: can the PCR test allow researchers and doctors to say how much virus is in a patient’s body? Many years ago, journalist John Lauritsenapproached a man named Kary Mullis for an answer. 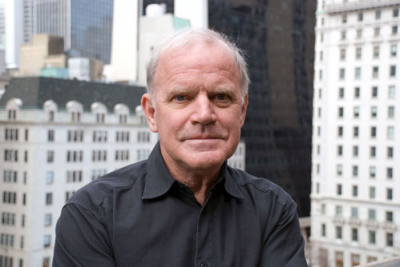 Kary Mullis… is thoroughly convinced that HIV is not the cause of AIDS. With regard to the viral-load tests, which attempt to use PCR for counting viruses, Mullis has stated: ‘Quantitative PCR is an oxymoron.’ PCR is intended to identify substances qualitatively, but by its very nature is unsuited for estimating numbers. Although there is a common misimpression that the viral-load tests actually count the number of viruses in the blood, these tests cannot detect free, infectious viruses at all; they can only detect proteins that are believed, in some cases wrongly, to be unique to HIV. The tests can detect genetic sequences of viruses, but not viruses themselves. In analyzing so-called epidemics and their causes for 27 years now, I have often pointed out that the diagnostic test is the key—unless people want to jump to conclusions and spread fear and walk down the wrong road, while patients die for reasons other than the stated causes—including misdirected and highly toxic medical treatment. Jon Rappoport is the author of three explosive collections, THE MATRIX REVEALED, EXIT FROM THE MATRIX, and POWER OUTSIDE THE MATRIX, Jon was a candidate for a US Congressional seat in the 29th District of California. He maintains a consulting practice for private clients, the purpose of which is the expansion of personal creative power. Nominated for a Pulitzer Prize, he has worked as an investigative reporter for 30 years, writing articles on politics, medicine, and health for CBS Healthwatch, LA Weekly, Spin Magazine, Stern, and other newspapers and magazines in the US and Europe. Jon has delivered lectures and seminars on global politics, health, logic, and creative power to audiences around the world. You can sign up for his free emails atNoMoreFakeNews.com.